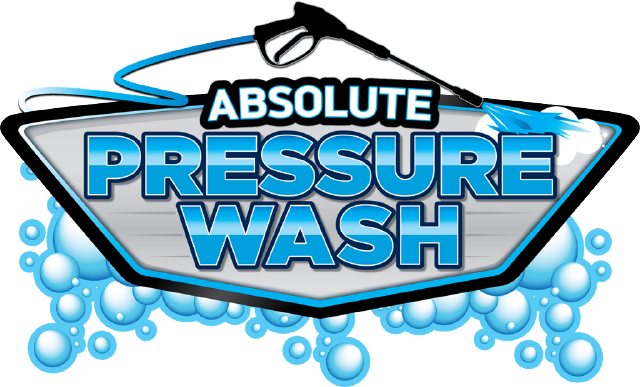 Call us toll free at 1-800-376-WASH for a FREE Estimate! 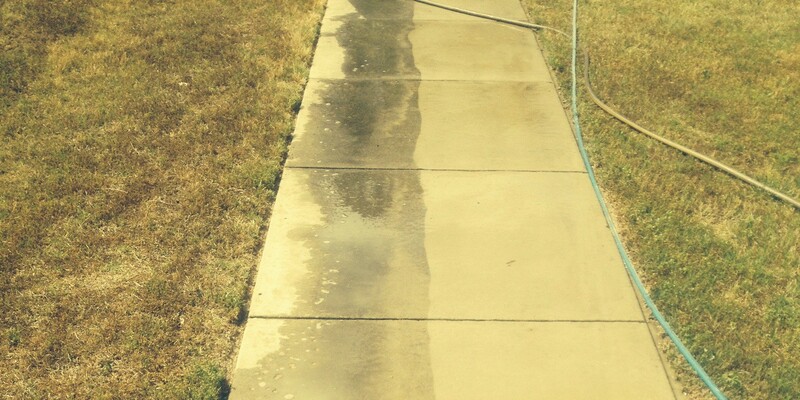 Our goal is to provide excellent pressure washing services at an affordable price. We are locally owned and fully licensed and insured with over 10 years of experience. Our service area includes the Charlotte Metropolitan and Lake Norman areas. 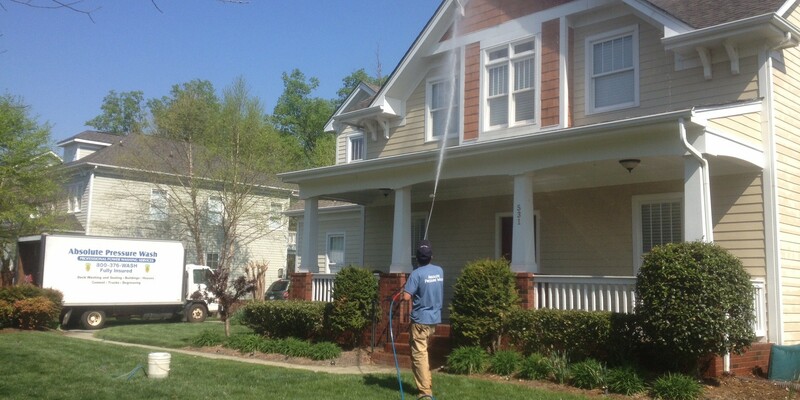 We look forward to taking care of your residential or commercial pressure washing needs. An affordable way to improve the appearance and value of your home. normally have to have pressure washing companies re-do certain areas. These guys do the job like they would want it done on their house. I highly recommend them. Joel arrived promptly to give me an estimate, and showed up as agreed to do the work (even though it was raining hard that day). 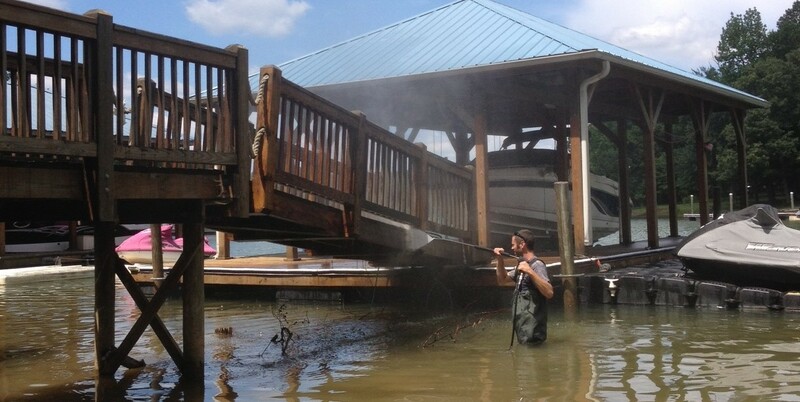 He had to work harder than he anticipated to strip the deck, because the previous application of stain was not done correctly. Even so, the price remained as quoted. 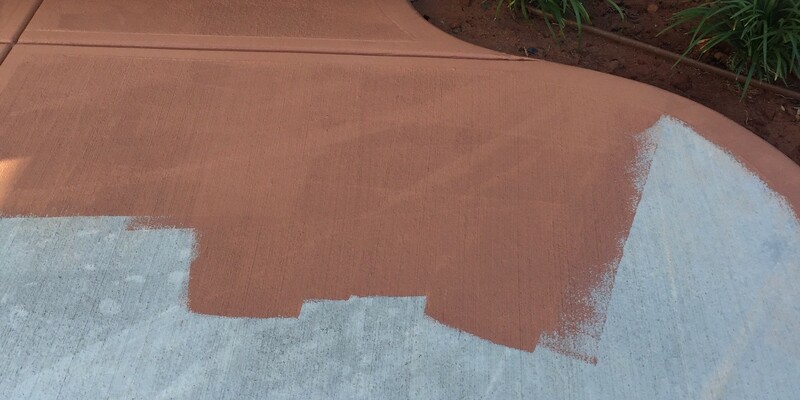 He then removed 30 years of grime from our very large concrete driveway, and it looks great. Joel and Alex did an excellent job of cleaning up a mess made by a contractor in our neighborhood; dealing with some pretty bad dusty concrete residue. We hired Absolute Pressure Wash to pressure wash our entire house; the front walkway, the driveway, and our back patio. The patio had to be re-stained and Joel suggested an awesome terra cotta color that we absolutely LOVE! I would recommend Joel and Alex for quality workmanship, punctuality, professionalism, and just because they are great, friendly folks! 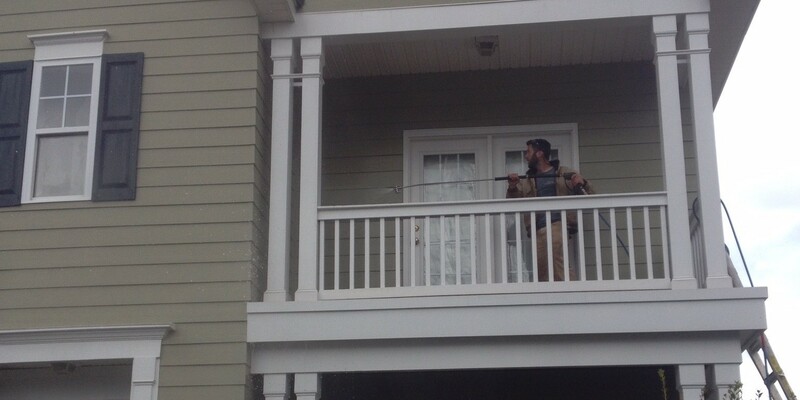 We had our house pressure washed by Absolute Pressure Wash. So many other companies were either booked out 4+ weeks or didn't bother calling back. Joel got back to me right away and came out to give me an estimate within 24 hours. They were able to get us on the schedule with in the week. Very pleased with the work. Super nice guys too. Our house was very dirty with mold/ bird droppings and now it is spotless. Joel responded within 15 minutes of leaving voicemail and we discussed him coming out and doing an estimate, with the possibility of doing the work next day. He arrived quicker than expected for the estimate and offered to do the work right then since he had all the supplies needed. Came home later that evening and found the areas he treated looked significantly better. Great experience, he's a true professional. This is the second excellent experience we've had with Joel and Alex, and it was just as terrific an experience as the first time. They returned our call within an hour, quickly scheduled a date, they showed up right on time, and the work was simply exceptional. 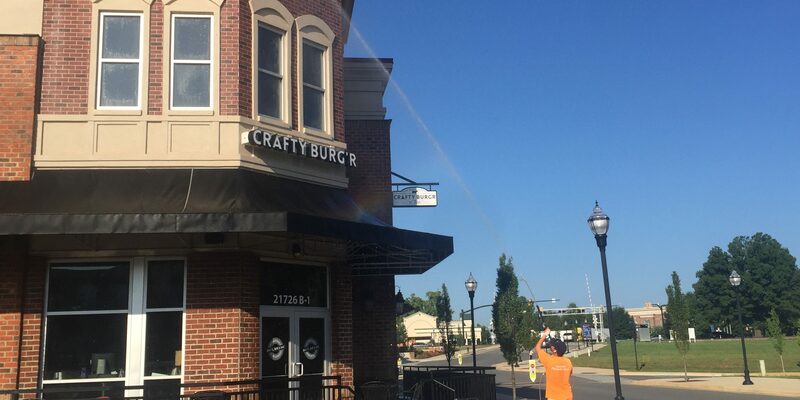 We will be calling them back every time we need some cleaning and pressure washing done. There is no better or more affordable way to improve the appearance and value of your home than having it pressure washed regularly. We use eco-friendly chemicals and low pressure to remove mold, mildew and dirt. This also ensures nothing is damaged during the cleaning process. Vinyl, brick, wood, stucco and cement can all be washed if done correctly. 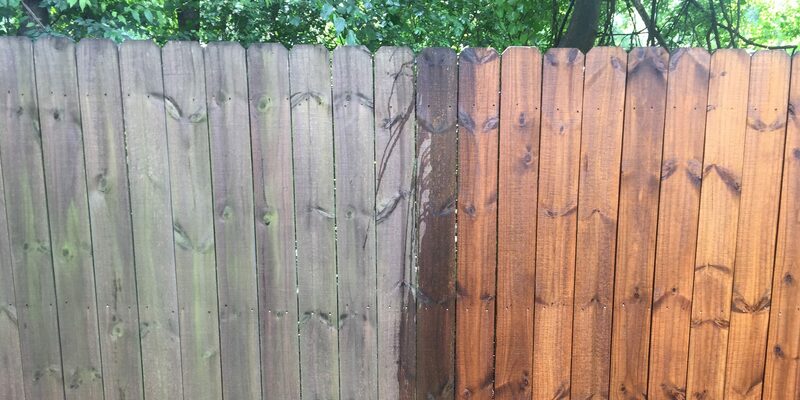 Pressure washing not only improves the appearance but it also saves from costly repairs such as painting and siding replacement. 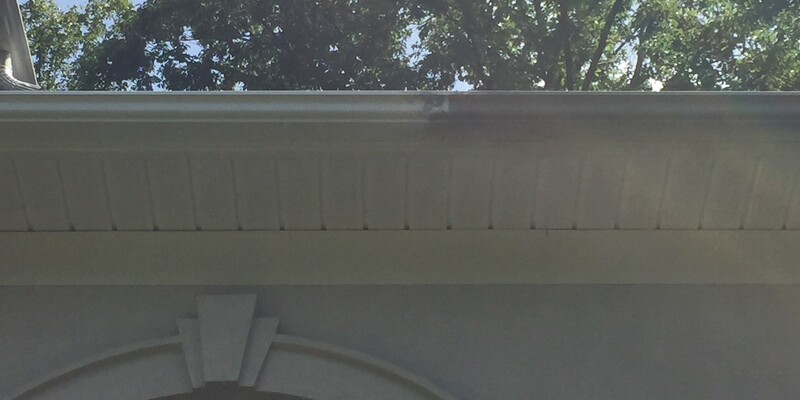 Those ugly black streaks and stains on your gutters are caused by chemicals from the shingles electrostatically bonding to the aluminum. 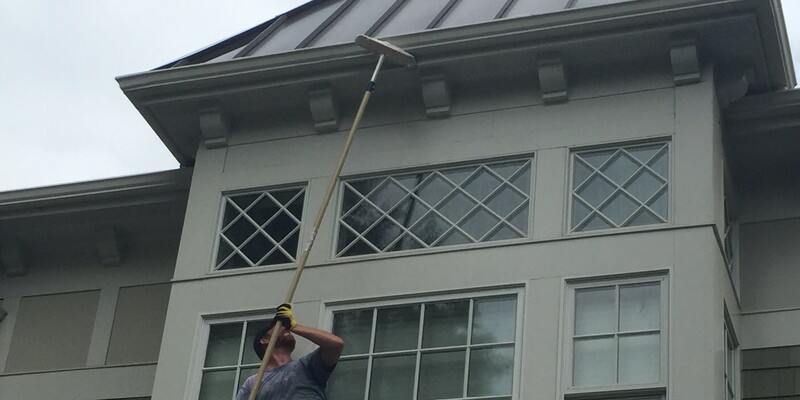 We apply a special chemical that breaks this bond and makes your gutters look new again. Don’t wait though, because if this is left untreated for too long it can permanently damage the paint. Rust and clay stains can be tricky and normal house washing chemicals won’t remove them. 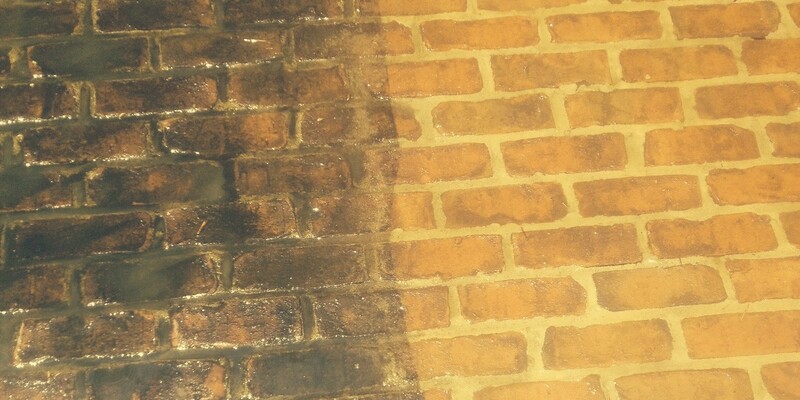 We use certain acids that will remove these stains with no damage to the property around them. Sealing a stamped pavement driveway. Driveways and sidewalks are commonly overlooked when considering pressure washing projects. A clean driveway and sidewalk can make all the difference when it comes to the overall appearance of your home or business. 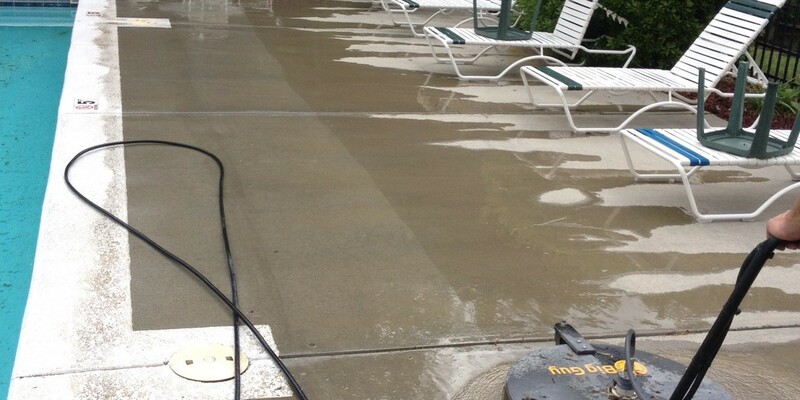 Any type of flat surface such as cement, stone, brick pavers, stamped concrete and painted cement can be cleaned. We use a special flat surface cleaner and chemicals to ensure all dirt, mold and other stains are removed. Combine with your house wash for additional savings. We also offer cement staining and sealing. 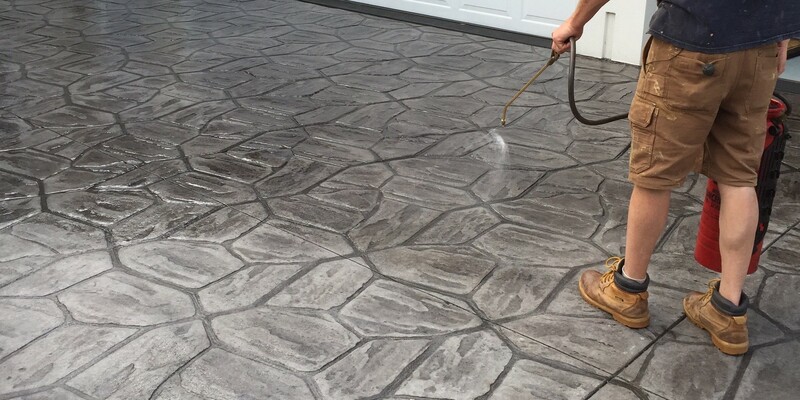 Staining your concrete not only adds color but also helps protect the cement and makes it easier to keep clean.It’s recommended that stamped concrete patios be resealed every year or two to maintain the color and integrity of the cement. This process restores the glossy look to the patio and makes it look new again. We use only the best professional grade stains and sealers with many different colors from which to choose. A clean storefront, sidewalks and the rest of your building exterior presents a professional image to your clients making them more likely to trust the products and services your company provides. 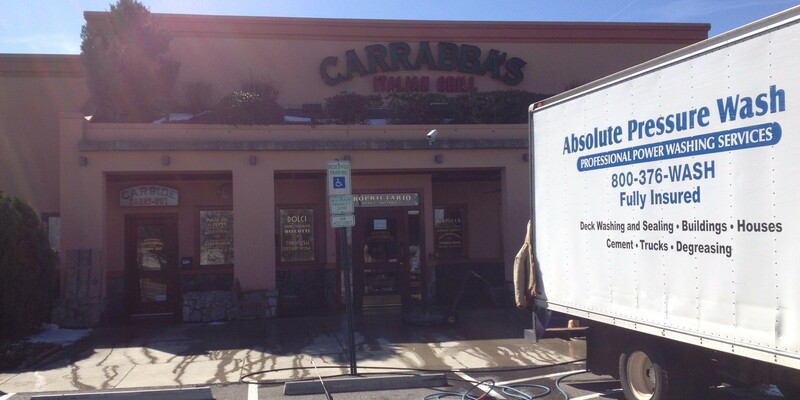 Pressure washing is the solution to that need and we provide business owners a way to get and keep that clean image. 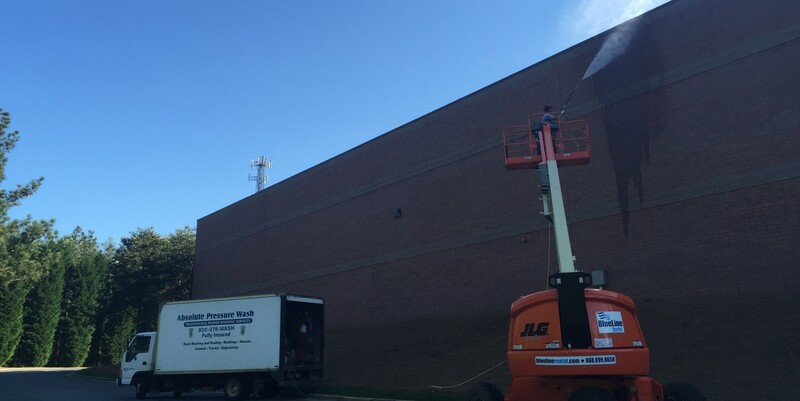 Cleaning your store’s exterior on a regular basis can also reduce maintenance and help expose problems that exist in the building’s infrastructure which would otherwise be covered up by dirt or debris. It also makes painting easier and because the paint stays clean, repainting is required less often. Curb appeal and cleanliness are one of the most important keys to sustaining a successful restaurant. Let us a devise a plan to keep your building clean on a regular basis so you have one less thing to worry about. 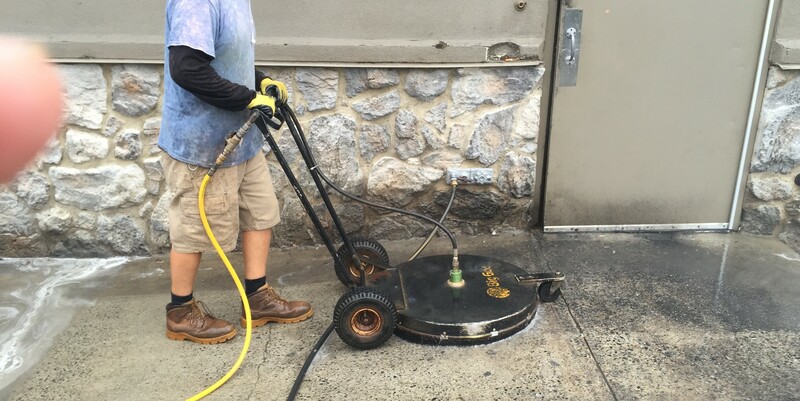 Some of our restaurant cleaning services include; building exteriors, sidewalks, dumpster pads, degreasing and much more. 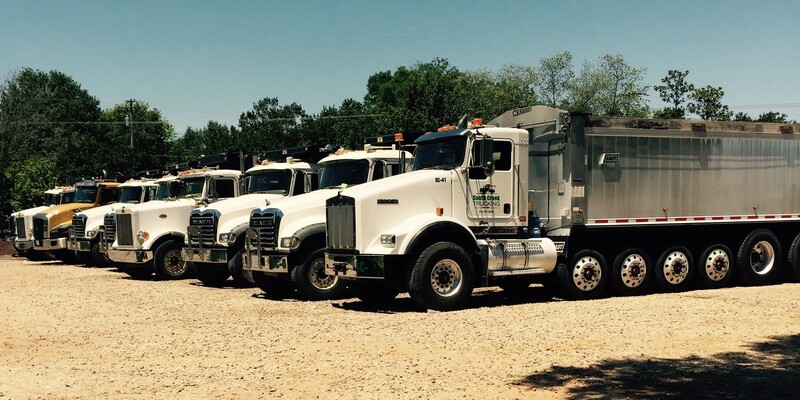 Having your truck or car fleet washed is important to maintain the image of your company. Since they are moving advertisements, a clean fleet is a great way to represent your business. Regular washing removes any built up dirt or grease so they can be maintained easier as well. We have the right equipment to handle anything cars to semi-trucks and even heavy construction equipment. Besides the overall appearance of your deck, it needs to be cleaned and sealed every couple of years to prevent structural damage. Weather and U.V. wreak havoc on the wood and if left untreated could lead to warping, cracking or wood rot. 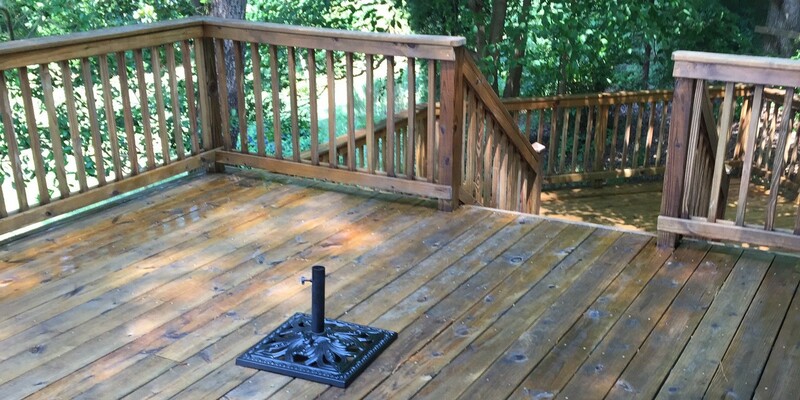 A good quality stain blocks out moisture and sun rays and gives the deck a longer lifespan. 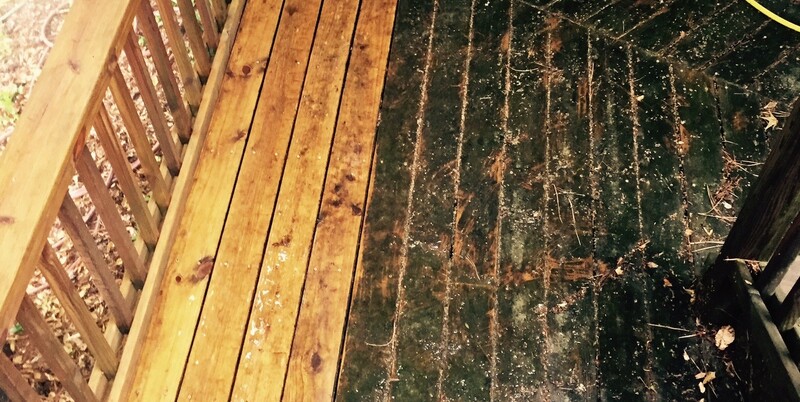 To properly stain the deck it must first be stripped of the old stain and any dirt using a specific stripping chemical. 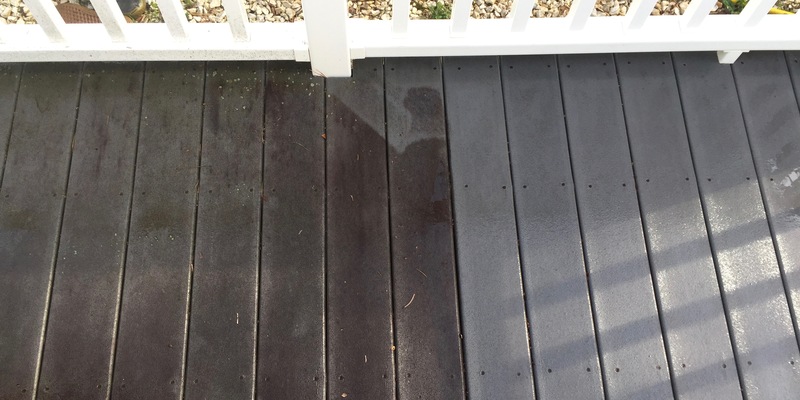 Once the deck is clean, a brightening agent is applied to balance the pH of the wood and bring it back to its original color. Contact us today for a FREE quote or just to chat!